What Is Single-Sided Deafness, SSD? 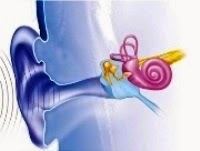 SSD, or unilateral hearing loss, refers to total hearing loss in one ear - the other ear can have perfect hearing. There are thought to be at least 9,000 new cases of SSD in the UK each year. With the most common causes the onset of deafness is sudden. For many people, SSD has a particularly disabling and debilitating impact on work, home and social interaction. Despite this and the availability of effective treatment options, many patients don't seek treatments owing to a lack of general awareness of this condition. SSD occurs when sounds cannot reach the working inner ear (cochlea), or when sounds reach the inner ear perfectly, but due to inner ear damage aren't turned in to nerve impulses which are sent to the brain. SSD may be a result of a number of different conditions, each of which affects the ear differently. The symptoms of SSD will vary, depending on the cause and the individual. In addition to having impaired hearing on the deaf side, some people may have difficulty determining the direction of sounds. This can make simple tasks such as crossing a road difficult. Some people with SSD may also experience what is known as the head shadow effect, the inability to hear sounds at all from a particular direction. However, the most common symptom is the inability to separate background noise from target sounds. Some sufferers find this a major problem when interacting in social situations as group conversations become very difficult to follow. As a result, many people with SSD find themselves feeling socially excluded and isolated even to the point that some stop going out. Your first stop should be your GP who can refer you to the appropriate specialist for further investigation. The management of SSD will depend on the cause - it may involve treating underlying infection or a tumour, but occasionally the cause is not found or is not treatable (such as after a vascular event or stroke). Devices have been developed which rely on transferring sound to the hearing ear to create the impression of stereo sound. The BAHA (bone anchored hearing device) has recently been cleared by the US Food and Drug Administration for treatment of SSD, and is available both privately and possibly through the NHS. The device involves a small titanium fixture which is implanted behind the ear and is attached to a sound processor. The sound processor picks up noise and transfers it to the working ear via the skull bone. The more traditional option is the CROS Aid (contra-lateral routing of signal), which relies on an external wire to connect the bad ear with the hearing ear. Your local hearing aid centre can give you more advice about the options for treatment.